Last month I had the opportunity to visit Denver, Colorado for the Educause Conference. While I was in Denver, I visited an interesting exhibition in the Denver Art Musuem. 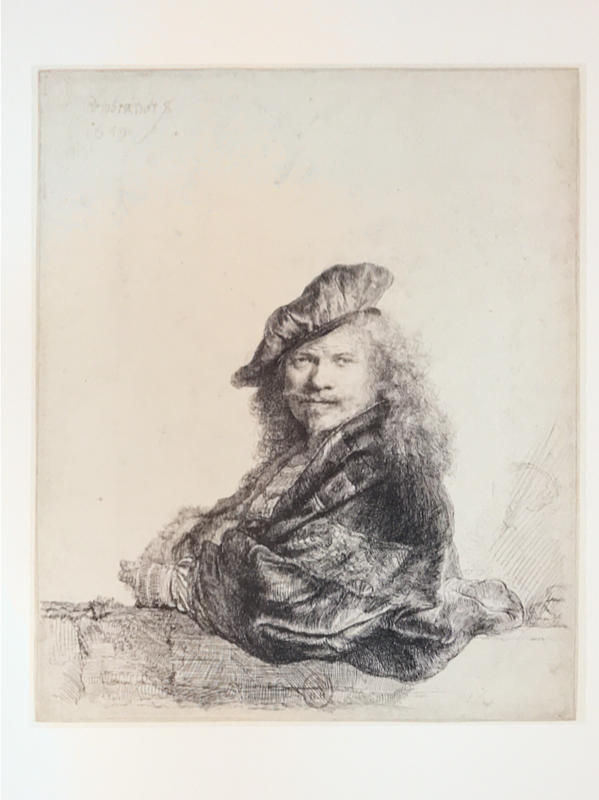 Called “Rembrandt: Painter as Printmaker,” the exhibition showcased 100 prints Rembrandt created between 1625 and 1665. 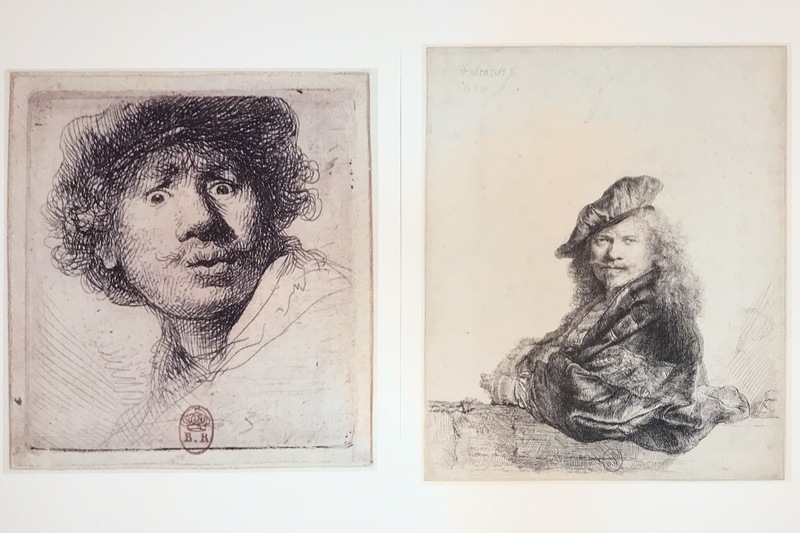 While known for his paintings, Rembrandt wanted to appeal to a different market, and using prints he could mass produce work that could be sold and seen by a larger audience. I found myself drawn to two self portraits. 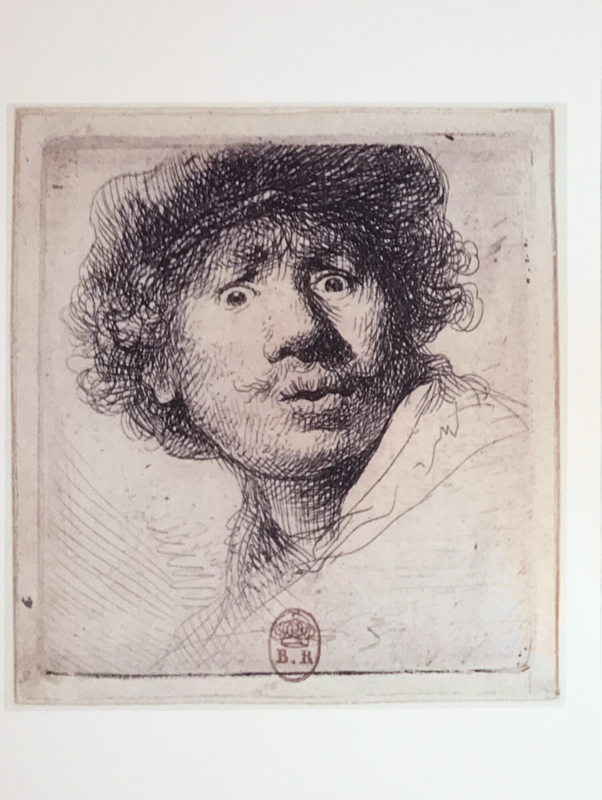 Rembrandt van Rijn, Self-Portrait in a Cap, Wide-Eyed and Open-Mouthed, about 1630. Rembrandt van Rijn, Self-Portrait Leaning on a Stone Sill, 1639. Is the Self-portrait in a Cap the first duck-face selfie? Is the Self-Portrait Leaning on a Stone Sill the first LinkedIn profile? Reading about why Rembrandt produced these works was interesting. The earlier, silly work was one of his first experiences with the press, and he made something light-hearted to try out the new technology. The more formal self-portrait was created very intentionally, to curate his image as a scholar and an artist. The clothes that he is wearing in the second self-portrait are intentionally anachronistic, he is trying to connect himself visually with the artists and intellectuals of the Renaissance 200 years earlier. One was made for fun, an experimentation with a new media, and the other was a carefully curated message to the art world and potential clients. 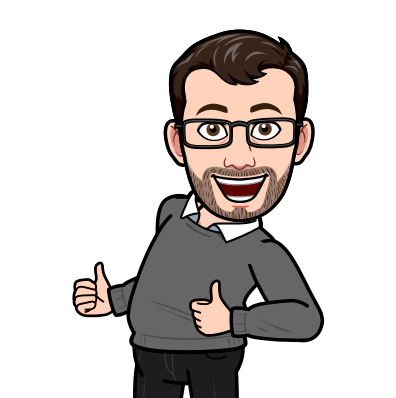 This year, I am serving on the SUNY Faculty Advisory Council on Teaching & Technology (FACT2) working group dedicated to Open Pedagogy. Open Pedagogy can mean so many things to so many people. I like the definition given in Robin DeRosa and Rajiv Jhangiani in the Rebus Community’s book, A Guide to Making Open Textbooks with Students. Open Pedagogy by Robin DeRosa and Rajiv Jhangiani is published freely under a Creative Commons Attribution 4.0 License. One of the interpretations or traditional avenues of Open Pedagogy is giving the students the skills to create portfolios, blogs, and engage with each other out in the open of the internet. Can we help learners as they begin to curate that public image, applying what they learn in classes and making connections between their learning and their future careers? Can we teach the technical skills and digital literacy that learners can comfortably create modern and accessible content in a user-friendly and easy way? Can we effectively transfer responsibility to hosting and upkeep to the learner after graduation so they can continue to run their personal cloud or decide to take it down? Can we teach them about copyright and open licensing in a way that gives learners the autonomy and information to make informed licensing decisions? These are exciting questions to me as an advocate for technology in education. People like Jim Groom at Reclaim Hosting have been pioneering ways to scale an initiative that empowers students to control their own web space and web presence. The Domain of One’s Own initiative is 11 years old now. These original pioneers have moved on from the University of Mary Washington and now have a business model where they can help scale an initiative at other institutions. 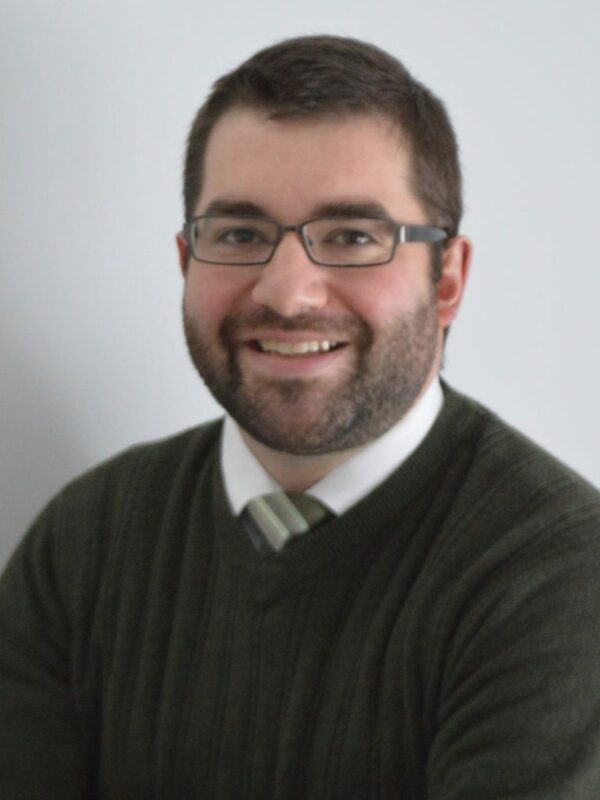 As part of the SUNY OER Services Community Courses, we have a Master Class in Open Pedagogy for faculty members, librarians and instructional designers. Across SUNY we have information and technology leaders drawn to this idea. We have early adopter faculty members that have begun to teach this way. One of the areas we may be lacking is the joint infrastructure to easily scale an initiative. What would need to be done to support and scale this across SUNY? If Rembrandt could curate his public image using mass media in 1630s, I think we can do just as well today.